Computer science and engineering leads the digital revolution that will define our future. This revolution, though still in its infancy, is already expanding our intelligence, changing the ways of doing sciences, and transforming all corners of our economy and society at large. 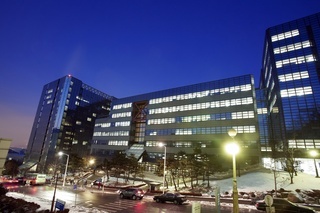 The Department of Computer Science and Engineering at Seoul National University is a globally recognized leader that shapes this new frontier with Korea's unique socio-economical derives. Our mission is to supply the people and ideas that are strongly footed in both the fundamentals of computing science and the mastery of technical skills. At the Department of Computer Science and Engineering, we offer a unique educational opportunity for students to achieve excellence in both scientific discovery and technological innovation through classes and participation in cutting-edge research.